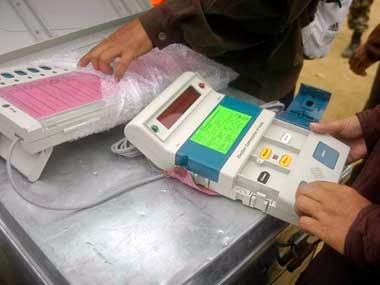 Aizawl, Dec 4 : Full preparation is on in all the district headquarters of Mizoram for counting of votes of the November 25 assembly election. Vote counting will be done on December 9. As per direction of the Election Commission of India (ECI), each counting centre will be under vigil of a micro observer on the day of counting. In Aizawl district, votes from the 14 constituencies shall be counted at the counting centre placed at Pachhunga University College campus. Three counting halls are being arranged in this counting centre. Two hall will be equipped with 10 tables each,while in the other hall, 8 tables will be placed. Counting officials will have a thorough rehearsal on December 4 and 6 . Comprising seven assembly constituencies, Lunglei district is arranging two counting halls both in Saikuti Hall. The counting halls will be equipped with adequate tables. Counting supervisor and assistants will get training on December 6 . In Saiha district, votes from the two MLA constituencies in the district namely- Saiha and Palak constituency- will be counted at the counting centre being placed at DC office. The counting centre will be equipped with 6 counting tables. Votes from Saiha will be counted first, as per plan. Counting supervisor and counting assistants have been given necessary training. In Champhai District which comprises 5 Assembly constituencies, MLA votes will be counted at the 2 Counting centres arranged at the District DC office. Of the counting centre arranged at popularly known Emergency Operation Centre, votes from Lengteng and Tuichang constituencies will be counted, while in Counting Hall II, which is placed at DC Office General Branch, votes from Champhai North, Champhai South and East Tuipui shall be counted. Each of the two Counting Halls consists of 8 Counting Tables. In Serchhip district, MLA votes from the 3 assembly constituencies will be counted at two counting halls placed at the deputy commissioner compound. Votes from Serchhip and Hrangturzo constituencies will be counted at the counting hall placed at the deputy commissioner Conference Hall, while votes from Tuikum constituency will be counted at the counting hall placed at establishment room. The counting halls are equipped with 8 counting tables each. Vote counting officials will be given training on December 4 . In Kolasib distirct which consists of 3 constituencies, votes will be counted at the counting hall arranged at Revenue office. 12 counting tables are being placed in the counting hall. Counting officials will be given training on December 3 . In Mamit district, which also comprises 3 assembly constituencies, votes counting will be done at DC conference hall, where counting centre is being arranged. Counting centre will be equipped with 8 counting tables. Vote counting officials will get training on December 3 and 5 . In Lawngtlai, votes will be counted at two places- DC conference hall and BNRGSK hall. 10 counting tables are placed in each of the counting hall. Counting supervisors and assistants, who have got training once, will get another training once more. On 20th August, 1961, Dr.Ao was shot and wounded at Mokokchung by an underground gunman while he was on his way home from his pharmacy. He was taken to the Army Hospital but succumbed to his injuries on 22nd August 1961.Most of these leaders sacrificed, toiled and even risked their precious lives while striving for the cause, though the Naga political issue remained unresolved. Although the talks between the Naga underground leaders and the Government of India are still going on to find solution, the leaders of NPC were architects and founding fathers of the Nagaland State and it would be only befitting to mention their names on such occasion by the President of India.